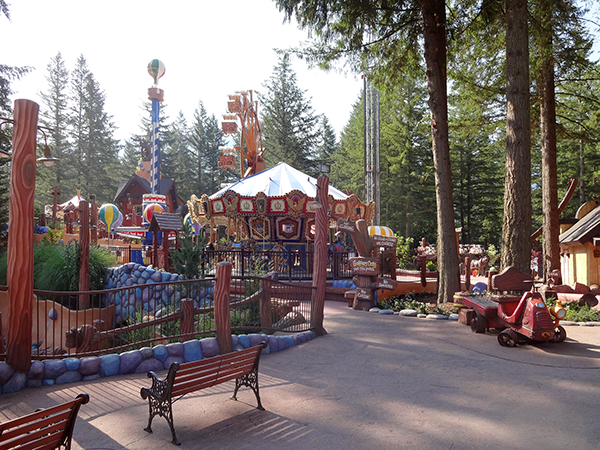 Cultus Lake Adventure Park is now finished and open to rave reviews by the public. It's great to see everyone enjoying the project we worked on for so long! Since the park has opened I've been doing my best to get good pictures. The key is to get there at different times each day as the light changes every hour. I'll be posting pictures of the final project in the next few posts. 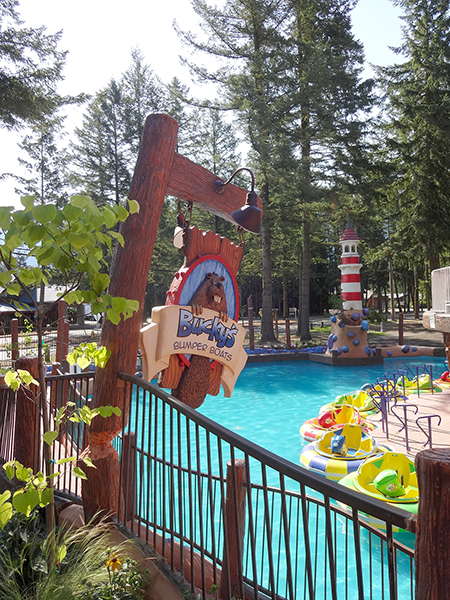 We built Giggle RidgeAdventure Golf fourteen years ago. Back then we planted a high hedge on the south side of the park to block the views from the golf as the neighbor attraction wasn't very pretty. 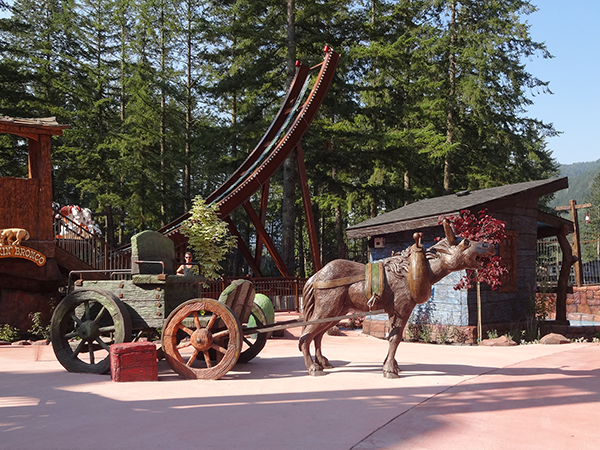 As we designed the Adventure Park our plan was to take out the bordering hedges and instead integrate the new features and attractions into the old adventure golf. 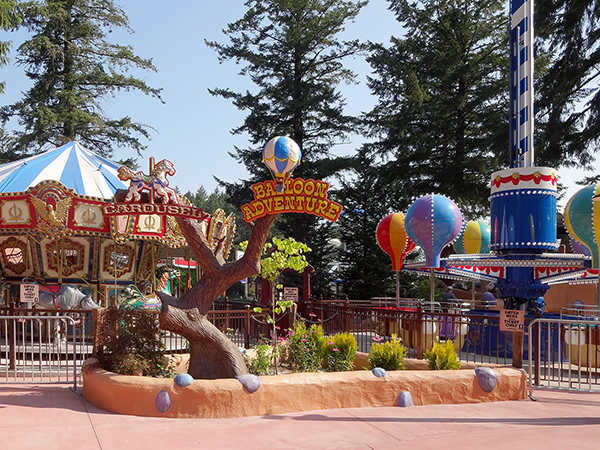 The trees were trimmed of their lower branches to offer a fabulous view from the old attraction. 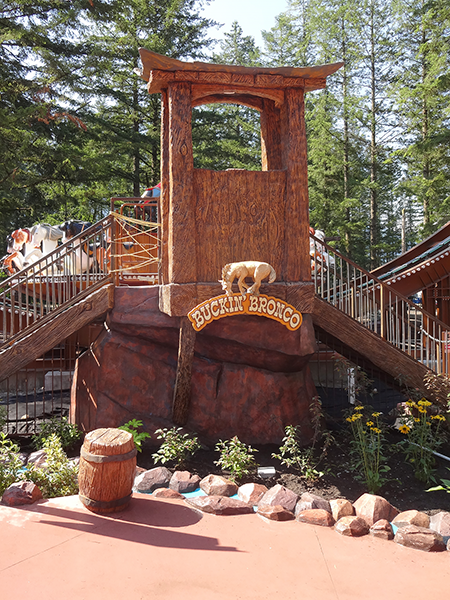 The park is small but packed with features. 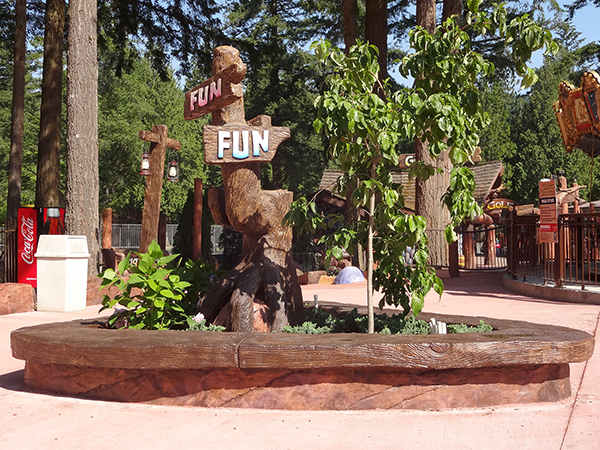 This sign started out as a directional sign but we instead changed it to point FUN in every direction. 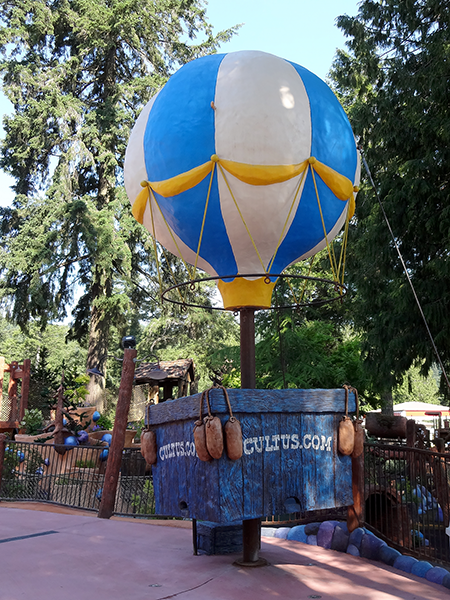 A new entrance on the east side of the park has this giant balloon photo op for guests. Another very popular photo op is the horse and wagon. It's not often that there isn't someone perched on the horse or sitting in the wagon. 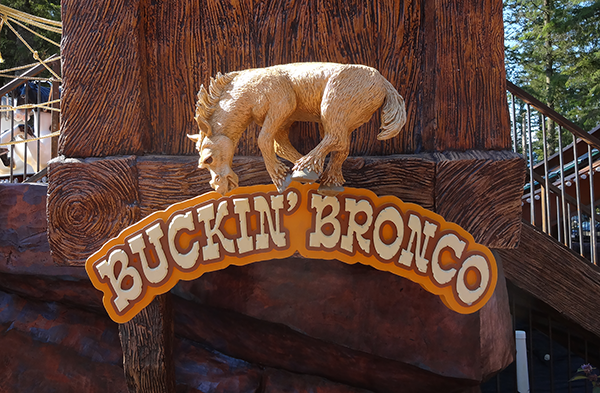 One of the more popular rides is undoubtably the Buckin' Bronco. In hot weather Bucky's Bumper Boats always has a long line. I love the contrast of the warm colors with the cool blues of the pool. 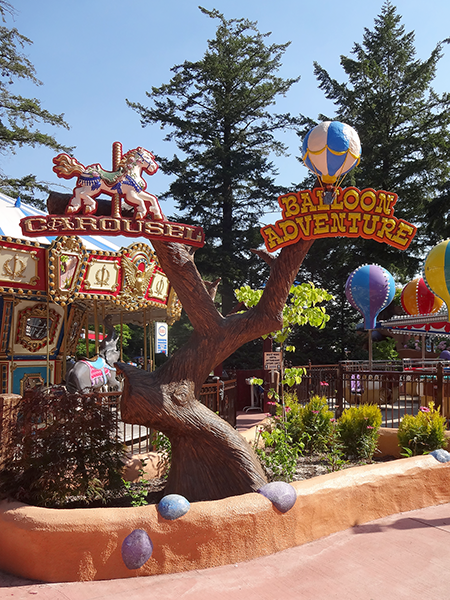 The Carousel and Balloon Adventure is also popular. The landscaping made a huge difference all through the park, adding life to our concrete sculptural work. 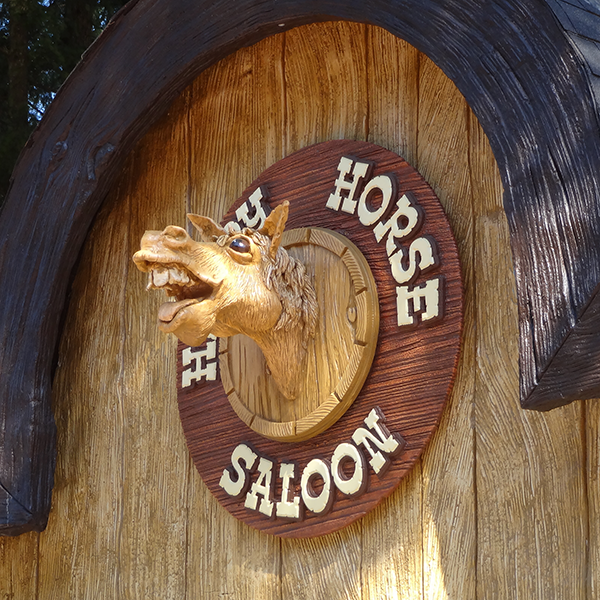 Almost everyone stops and points out the laughing horse on the Saloon sign. The sign does exactly as I hoped. I'll be posting lots more pictures in coming days. The park looks so great!